Thank you for viewing our research publications (organized in chronological order with most recent articles first). Click on the blue links to view more information and findings. Price MO, Feng MT, Price FW Jr. Patient satisfaction with epithelium-off corneal crosslinking. J Cataract Refract Surg 2018; Epub ahead of print. Crews JW, Price MO, Lautert J, Feng MT, Price FW Jr. Intraoperative hyphema in Descemet membrane endothelial keratoplasty alone or combined with phacoemulsification. J Cataract Refract Surg 2018;44:198-201. Bhadange Y, Lautert J, Li S, Lawando E, Kim ET, Soper MC, Price FW Jr., Price MO, Bonanno JA. Hypoxia and the Prolyl Hydroxylase Inhibitor FG-4592 Protect Corneal Endothelial Cells From Mechanical and Perioperative Surgical Stress. Cornea 2018;37:501-7. Katipireddy KR, White TL, Miyajima T, Vasanth S, Raoof D, Chen Y, Price MO, Price FW, Jurkunas UV. NQO1 downregulation potentiates menadione-induced endothelial-mesenchymal transition during rosette formation in Fuchs endothelial corneal dystrophy. Free Radic Biol Med. 2017;116:19-30. Price MO, Fairchild K, Feng MT, Price FW Jr. Prospective Randomized Trial of Corneal Cross-linking Riboflavin Dosing Frequencies for Treatment of Keratoconus and Corneal Ectasia. Ophthalmology. 2017 Epub ahead of print. Price MO, Lisek M, Feng MT, Price FW Jr. Effect of Donor and Recipient Diabetes Status on Descemet Membrane Endothelial Keratoplasty Adherence and Survival. Cornea. 2017;36:1184-1188. Lewis DR, Price MO, Feng MT, Price FW Jr. Recurrence of Granular Corneal Dystrophy Type 1 After Phototherapeutic Keratectomy, Lamellar Keratoplasty, and Penetrating Keratoplasty in a Single Population. Cornea. 2017;36:1227-1232. Gonzalez A, Price MO, Feng MT, Lee C, Arbelaez JG, Price FW Jr. Immunologic Rejection Episodes After Deep Anterior Lamellar Keratoplasty: Incidence and Risk Factors. Cornea 2017;36:1076-1082. Price FW Jr. June consultation #6. J Cataract Refract Surg. 2017;43:858. Price FW Jr., Price MO. Combined Cataract/DSEK/DMEK: Changing Expectations. Asia Pac J Ophthalmol. 2017;6:388-392. Price MO, Gupta P, Lass J, Price FW Jr. EK (DLEK, DSEK, DMEK): New Frontier in Cornea Surgery. Annu Rev Vis Sci. 2017;3:69-90. Benischke A, Vasanth S, Miyai T, Katikireddy KR, White T, Chen Y, Halilovic A, Price M, Price F Jr., Liton PB, Jurkunas UV. Activation of mitophagy leads to decline in Mfn2 and loss of mitochondrial mass in Fuchs endothelial corneal dystrophy. Sci Rep. 2017;7:6656. Afshari NA, Igo RP Jr, Morris NJ, et al. Genome-wide association study identifies three novel loci in Fuchs endothelial corneal dystrophy. Nat Commun. 2017;8:14898. Zhang W, Li H, Ogando DG, Feng M, Price FW Jr, Tennessen JM, Bonanno JA. Glutaminolysis is essential for energy production and ion transport in human corneal endothelium. EBioMedicine. 2017;16:292-301. Gonzalez A, Price FW Jr, Price MO, Feng MT. Prevention and management of pupil block after Descemet membrane endothelial keratoplasty. Cornea 2016 Epub ahead of print. Price MO, Price DA, Bucci FA Jr, Durrie DS, Bond WI, Price FW Jr. Three-Year Longitudinal Survey Comparing Visual Satisfaction with LASIK and Contact Lenses. Ophthalmology 2016;123:1659-66. Price MO, Calhoun P, Kollman C, Price FW Jr, Lass JH. Descemet Stripping Endothelial Keratoplasty: Ten-Year Endothelial Cell Loss Compared with Penetrating Keratoplasty. Ophthalmology 2016;123:1421-7. Price, DA, Price MO, Lopez A, Price FW Jr. Effect of Descemet Membrane Endothelial Keratoplasty on Color Vision in Patients With Fuchs Dystrophy. Cornea 2016;35:1045-8. Price MO, Price FW. Keratoplasty with glaucoma - survive or dive? US Ophthalmic Review 2016; 9:23-4. Takaoka A, Babar N, Hogan J, Jim M, Price MO, Price FW Jr, Trokel FL, Paik DC. An Evaluation of Lysyl Oxidase-Derived Cross-Linking in Keratoconus by Liquid Chromatography/Mass Spectrometry. Invest Ophthalmol Vis Sci. 2016;57:126-36. Rosenfeld C, Price MO Lai X, Witzmann FA, Price FW Jr. Distinctive and pervasive alterations in aqueous humor protein composition following different types of glaucoma surgery. Mol Vis 2015;25:911-8. Price FW Jr, Feng MT, Price MO. Evolution of Endothelial Keratoplasty: Where Are We Headed? Cornea 2015; 34-S31-7. Price MO, Feng MT, McKee Y, Price JW Jr. Repeat Descemet Membrane Endothelial Keratoplasty: Secondary Grafts with Early Intervention Are Comparable with Fellow-Eye Primary Grafts. Opthalmology 2015; 122:1639-44. Schoenberg ED, Price FW Jr, Miller J, McKee Y, Price MO. Refractice outcomes of Descemet membrane endothlial keratoplasty tripe procedures (combined with cataract surgery). J Cataract Refract Surg 2015; 41:1182-9. 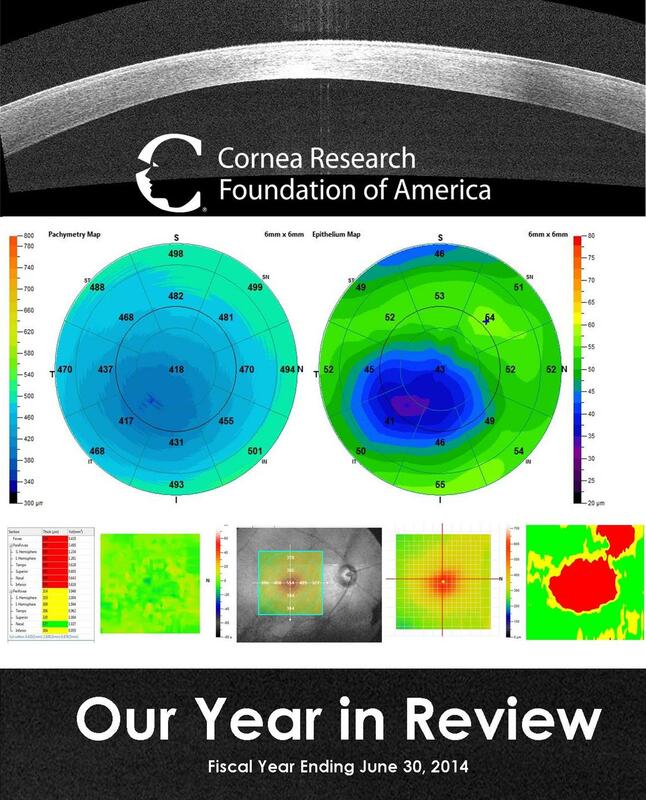 Arbelaez JG, Feng MT, Pena TJ, Price MO, Price FW Jr. A Year of Cornea in Review: 2013. Asia Pac J Ophthalmol 2015; 4:40-50. Quek DT, Wong CW, Wong TT, Han SB, Htoon HM Ho CL, Tan DT, Price FW Jr, Price MO, Mehta JS. Graft Failure and Intraocular Pressure Control After Keratoplasty in Iridocorneal Endothelial Syndrome. Am J Ophthalmol 2015; 106:422-9. Epitropoulos AT, Fram NR, Masket S, Price FW Jr, Snyder ME, Stulting RD. Evaluation of a New Controlled Point Source LED Glare Tester for Disability Glare Detection in Participants With and Without Cataracts. J. Refract Surg. 2015;31:196-201. Price, MO, Knight OJ, Benetz BA, Debanne SM, Verdier DD, Rosenwasser GO, Rosenwasser M, Price FW Jr, Lass JH. Randomized, prosepective, single-masked clinical trial of endothelial keratoplasty performance with 2 donor cornea 4°C storage solutions and associated chambers. Cornea 2015;34:253-6. Price FW Jr, Price MO. To intervene or not to intervene: that is the question. Ophthalmology 2015;122:6-7. Price MO, Price FW Jr. Evaluation of the toric implantable collamer lens for simultaneous treatment of myopia and astigmatism. Expert Rev Med Devices 2015;12:25-39. 4. McKee Y, Price FW Jr, Feng MT, Price MO. Implementation of the posterior chamber intraocular lens intrascleral haptic fixation technique (glued intraocular lens) in a United States practice: Outcomes and insights. J Cataract Refract Surg 2014;40:2099-105. Lass JH, Riddlesworth TD, Gal RL, Kollman C, Benetz BA, Price FW Jr, Sugar A, Terry MA, Soper M, Beck RW. The Effect of Donor Diabetes History on Graft Failure and Endothelial Cell Density 10 Years after Penetrating Keratoplasty. Ophthalmology 2014; ePub ahead of print. Arbelaez JG, Price MO, Price FW Jr. Long-term follow-up and complications of stripping descemet membrane without placement of graft in eyes with Fuchs endothelial dystrophy. Cornea 2014;33:1295-9. Price MO, Price FW Jr, Kruse FE, Bachmann BO, Tourtas T. Randomized comparison of topical prednisolone acetate 1% versus fluorometholone 0.1% in the first year after descemet membrane endothelial keratoplasty. Cornea 2014;33:880-6. Price FW Jr, Patterson LE, Gorovoy MS. Re: Du et al: Incidence of Endophthalmitis after corneal transplant or cataract surgery in a Medicare population (Ophthalmology 2014;121:290-8). Ophthalmology 2014 Jun 3. Mitry D, Bhogal M, Patel AK, Lee BS, Chai SM, Price MO, Price FW Jr, Jun AS, Aldave AJ, Mehta JS, Busin M, Allan BD. Descemet Stripping Automated Endothelial Keratoplasty After Failed Penetrating Keratoplasty: Survival, Rejection Risk, and Visual Outcome. JAMA Ophthalmol 2014;132:742-9. Chaurasia S, Price MO, McKee Y, Price FW Jr. Descemet Membrane Endothelial Keratoplasty Combined With Epithelial Debridement and Mitomycin-C Application for Fuchs Dystrophy With Preoperative Subepithelial Fibrosis or Anterior Basement Membrane Dystrophy. Cornea 2014;33:335-9. Tenkman LR, Price FW, Price MO. Descemet Membrane Endothelial Keratoplasty Donor Preparation: Navigating Challenges and Improving Efficiency. Cornea 2014;33:319-325. Burkhart ZN, Feng MT, Price FW Jr. Price MO. One-year outcomes in eyes remaining phakic after Descemet membrane endothelial keratoplasty. J Cataract Refract Surg 2014;40:430-4. Chaurasia S, Price FW Jr, Gunderson L, Price MO. Descemet's Membrane Endothelial Keratoplasty: Clinical Results of Single Versus Triple Procedures (Combined with Cataract Surgery). Ophthalmology 2014;121:454-8. Price FW Jr, Price MO. Evolution of endothelial keratoplasty. Cornea 2013;32:S28-32. Lass JH, Benetz BA, Gal RL, Kollman C, Raghinaru D, Dontchev M, Mannis MJ, Holland EJ, Chow C, McCoy K, Price FW Jr, Sugar A, Verdier DD, Beck RW. Donor age and factors related to endothelial cell loss 10 years after penetrating keratoplasty: specular microscopy ancillary study. Ophthalmology. 2013;120:2428-35. Price MO, Price FW. Descemet's membrane endothelial keratoplasty surgery: update on the evidence and hurdles to acceptance. Curr Opin Ophthalmol 2013;24:329-35. Feng MT, Burkhart ZN, Price FW Jr, Price MO. Effect of Donor Preparation-to-Use Times on Descemet Membrane Endothelial Keratoplasty Outcomes. Cornea 2013;32:1080-2. Feng MD, Price MO, Price FW. Update on Descemet membrane endothelial keratoplasty (DMEK). Int Ophthalmol Clin 2013;53:31-45. Burkhart ZN, Feng MD, Price MO, Price, FW. Handheld Slit Beam Techniques to Facilitate DMEK and DALK. Cornea 2013;32:722-4. Price MO, Gorovoy M, Price FW, Benetz BA, Menegay HJ, Lass JH. Descemet's Stripping Automated Endothelial Keratoplasty: Three-Year Graft and Endothelial Cell Survival Compared with Penetrating Keratoplasty. Ophthalmology 2013:120:246-51. Price MO, Tenkman LR, Schrier A, Fairchild KM, Trokel SL, Price FW. Photoactivated Riboflavin Treatment of Infectious Keratitis Using Collagen Cross-linking Technology. J Refract Surg 2012;28:706-13. Price MO, Fairchild KM, Price FW. Comparison of Manual and Automated Endothelial Cell Density Analysis in Normal Eyes and DSEK Eyes. Cornea 2013;32:567-73. Anshu A, Price MO, Price FW. Descemet Membrane Endothelial Keratoplasty and Hybrid Techniques for Managing Failed Penetrating Grafts. Cornea 2013;32:1-4. Anshu A, Price MO, Price FW. Descemet Stripping Automated Endothelial Keratoplasty for Fuchs Endothelial Dystrophy-Influence of Graft Diameter on Endothelial Cell Loss. Cornea 2013;32:5-8. Anshu A, Planchard B, Price MO, Pereira CDR, Price FW. A Cause of Reticular Interface Haze and its Management After Descemet Stripping Endothelial Keratoplasty. Cornea 2012;31:1365-8. Anshu A, Price MO, Price FW. Descemet's Stripping Endothelial Keratoplasty: Long-term Graft Survival and Risk Factors for Failure in Eyes with Preexisting Glaucoma. Ophthalmology 2012:119:1982-7. Tenkman L, Price MO, Price FW. 5. Keratoconus onset after age 50. J Refract Surg 2012; 28:436-8. Anshu A, Price MO, Tan DTH, Price FW. Endothelial keratoplasty: a revolution in evolution. Survey of Ophthalmology 2012;57:236-52. Stulting, RD, Sugar A, Beck R, Belin M, Dontchev M, Feder RS, Gal RL, Holland EJ, Kollman C, Mannis MJ, Price F, Stark W, Verdier DD; for the Cornea Donor Study Investigator Group. Effect of Donor and Recipient Factors on Corneal Graft Rejection. Cornea 2012;31:1141-47. Kopplin LJ, Przepyszny K, Schmotzer B, et al. Relationship of Fuchs endothelial corneal dystrophy severity to central corneal thickness. Arch Ophthalmol 2012:130:433-9. Anshu A, Price MO, Price FW. Risk of Corneal Transplant Rejection Significantly Reduced with Descemet's Membrane Endothelial Keratoplasty. Ophthalmology 2012;119:536-40. Afshari NA, Gorovoy MS, Yoo SH, Kim T, Carlson AN, Rosenwasser GO, Griffin NB, McCuen BW 2nd, Toth CA, Price FW Jr, Price M, Fernandez MM. Dislocation of the Donor Graft to the Posterior Segment in Descemet Stripping Automated Endothelial Keratoplasty. Am J Ophthalmol. 2011 Nov 19. Louttit MD, Kopplin LJ, Igo RP Jr, Fondran JR, Tagliaferri A, Bardenstein D, Aldave AJ, Croasdale CR, Price MO, Rosenwasser GO, Lass JH, Iyengar SK; FECD Genetics Multi-Center Study Group. A multicenter study to map genes for Fuchs endothelial corneal dystrophy: baseline characteristics and heritability. Cornea 2012;31:26-35. Guerra FP, Anshu A, Price MO, Giebel AW, Price FW. Descemet's Membrane Endothelial Keratoplasty Prospective Study of 1-Year Visual Outcomes, Graft Survival, and Endothelial Cell Loss. Ophthalmology 2011;118:2368-73. Guerra FP, Anshu A, Price MO, Price FW. Endothelial keratoplasty: fellow eyes comparison of descemet stripping automated endothelial keratoplasty and descemet membrane endothelial keratoplasty. Cornea 2011;30:1382-6. Anshu A, Price MO, Price FW. Descemet's Stripping Endothelial Keratoplasty Under Failed Penetrating Keratoplasty: Visual Rehabilitation and Graft Survival Rate. Ophthalmology 2011; 118:2155-60. Silverstein SM, Cable MG, Sadri E, Peace JH, Fong R, Chandler SP, Gow JA, Klier SM, McNamara TR; Bromfenac Ophthalmic Solution Once Daily (Bromday) Study Group. Once daily dosing of bromfenac ophthalmic solution 0.09% for postoperative ocular inflammation and pain. Curr Med Res Opin. 2011;27:1693-703. Cursiefen C, Colin J, Dana R, Diaz-Llopis M, Faraj LA, Garcia-Delpech S, Geerling G, Price FW, Remeijer L, Rouse BT, Seitz B, Udaondo P, Meller D, Dua H. Consensus statement on indications for anti-angiogenic therapy in the management of corneal diseases associated with neovascularisation: outcome of an expert roundtable. Br J Ophthalmol 2012;96:3-9. Price FW, Price MO, Arundhati A. Descemet stripping automated endothelial keratoplasty under failed penetrating keratoplasty: how to avoid complications. Am J Ophthalmol 2011;151:187-8. Olson R, Donnenfeld D, Bucci FA, Price FW, et al. Methicillin resistance of Staphylococcus species among health care and nonhealth care workers undergoing cataract surgery. Clin Ophthalmol 2010;4:1505-1514. Da Reitz Pereira C, Guerra FP, Price FW Jr, Price MO. Descemet's membrane automated endothelial keratoplasty (DMAEK): visual outcomes and visual quality. Br J Ophthalmol 2011;95:951-4. McCauley MB, Price MO, Fairchild KM, Price DA, Price FW. Prospective study of visual outcomes and endothelial survival with Descemet membrane automated endothelial keratoplasty. Cornea 2011;30:315-9. Price MO, Fairchild KM, Price DA, Price FW. Descemet's stripping endothelial keratoplasty five-year graft survival and endothelial cell loss. Ophthalmology 2011; 118:725-9. Guerra FP, Price MO, Price FW. Is central pachymetry asymmetry between eyes an independent risk factor for ectasia after LASIK? J Cataract Refract Surg 2010;11:2016-7. Letko E, Price DA, Lindoso EM, Price MO, Price FW. Secondary graft failure and repeat endothelial keratoplasty after Descemet's stripping automated endothelial keratoplasty. Ophthalmol 2011;118:310-4. Hayes DD, Shih CY, Shamie N, Terry MA, Price FW Jr, Price MO, Ritterband DC, Hannush SB, Gorovoy MS, Weisenthal RW, Ritch R, Liebmann JM, Udell IJ. Spontaneous reattachment of Descemet stripping automated endothelial keratoplasty lenticles: a case series of 12 patients. Am J Ophthalmol 2010;150:790-7. Price MO, Price FW. Descemet membrane endothelial keratoplasty. Int Ophthalmol Clin 2010;50:137-47. Price FW Jr, Price MO, Guerra F. Is excimer laser corneal surgery appropriate after resolution of corneal edema in fuchs dystrophy by descemet membrane endothelial keratoplasty? J Refract Surg 2011;27:299-302. Price MO, Price FW. Endothelial keratoplasty - a review. Clin Experiment Opthalmol 2010;38:128–140. Kwon RO, Price MO, Price FW, Ambrosio R, Belin MW. Pentacam characterization of corneas with Fuchs dystrophy treated with Descemet membrane endothelial keratoplasty. J Refract Surg 2010;26:972-9. Lass JH, Sugar A, Benetz BA, et al. Endothelial cell density to predict endothelial graft failure after penetrating keratoplasty. Arch Ophthalmol 2010;128:63-9. Price MO, Bidros M, Gorovoy M, Price FW, Benetz BA, Menegay HJ, Debanne SM, Lass JH. Effect of incision width on graft survival and endothelial cell loss after Descemet stripping automated endothelial keratoplasty. Cornea. 2010;29:523-7. Price MO, Gorovoy M, Benetz BA, Price FW, Menegay HJ, Debanne SM, Lass JH. Descemet's stripping automated endothelial keratoplasty outcomes compared with penetrating keratoplasty from the Cornea Donor Study. Ophthalmology 2010;117:438-44. Price FW, Price MO. Spontaneous corneal clearance despite graft detachment after descemet membrane endothelial keratoplasty. Am J Ophthalmol 2010;149:173-4. Richardson MR, Price MO, Price FW, Pardo JC, Grandin JC, Yoder MC. Proteomic analysis of human aqueous humor using multidimensional protein identification technlogy. Molecular Vision 2009;15:2740-50. Price MO, Giebel AW, Fairchild KM, Price FW. Descemet's membrane endothelial keratoplasty: prospective multicenter study of visual and refractive outcomes and endothelial survival. Ophthalmology 2009;116:2361–2368. Richardson MR, Price MO, Price FW, Pardo JC, Grandin JC, Yoder MC. Proteomic analysis of human aqueous humor using multidimensional protein identification technology. Molecular Vision 2009;15:2740-50. Letko E, Price MO, Price FW. Influence of original flap creation method on incidence of epithelial ingrowth after LASIK retreatment. J Refract Surg. 2009;25:1039-41. Sugar J, Montoya M, Dontchev M, Tanner JP, Beck RW, Gal RL, Gallagher S, Gaster R, Heck E, Holland EJ, Kollman C, Malling J, Mannis MJ, Woody J for the Cornea Donor Study Investigator Group. Donor risk factors for graft failure in the Cornea Donor Study. Cornea 2009; 28: 981-985. McCauley MB, Price FW, Price MO. Descemet membrane automated endothelial keratoplasty: hybrid technique combining DSAEK stability with DMEK visual results. J Cataract Refract Surg 2009;35:1659-64. Vajaranant TS, Price MO, Price FW, Gao W, Wilensky JT, Edward DP. Visual acuity and intraocular pressure after Descemet's stripping endothelial keratoplasty in eyes with and without preexisting glaucoma. Ophthalmology 2009;116:1644-50. Price FW, Price DA, Ngakeng V, Price MO. Survey of steroid usage patterns during and after low-risk penetrating keratoplasty. Cornea 2009;28:865-70. Sugar A, Tanner JP, Dontchev M, Tennant B, Schultze RL, Dunn SP, Lindquist TD, Gal RL, Beck RW, Kollman C, Mannis M, Holland E, for the Cornea Donor Study Investigator Group. Recipient risk factors for graft failure in the Cornea Donor Study. Ophthalmology 2009; 116: 1023-1028. Price FW, Price MO, Grandin JC, Kwon R. Deep anterior lamellar keratoplasty with femtosecond-laser zigzag incisions. Journal of Cataract and Refractive Surgery 2009;35:804-808. Price FW, Price MO. Does endothelial cell survival differ between DSEK and standard PK? Ophthalmology 2009;116:367-8. Price MO, Jordan CS, Moore G, Price FW. Graft rejection episodes after Descemet stripping with endothelial keratoplasty: part two: the statistical analysis of probability and risk factors. Br J Ophthalmology 2009;93:391-5. Jordan CS, Price MO, Trespalacios R, Price FW. Graft rejection episodes after Descemet stripping with endothelial keratoplasty: part one: clinical signs and symptoms. Br J Ophthalmol 2009;93:387-90. Price FW, Price MO, Jordan CS. Safety of incomplete incision patterns in femtosecond laser-assisted penetrating keratoplasty. Journal of Cataract and Refractive Surgery 2008; 34:2099-2013. Ngakeng V, Hauck MJ, Price MO, Price FW. AlphaCor keratoprosthesis: a novel approach to minimize the risks of long-term postoperative complications. Cornea 2008;27:905-910. Price MO, Price FW, Stoeger C, Soper M, Bavuso T, Locke G. Central thickness variation in precut DSAEK donor grafts. J Cataract and Refract Surg 2008;34:1423-4. Price MO, Baig KM, Brubaker JW, Price FW, Rando Randomized, prospective comparison of precut vs surgeon-dissected grafts for descemet stripping automated endothelial keratoplasty. Am J Ophthalmol 2008;146:36-41. Price FW. Precut Tissue for Descemet Stripping Automated Endothelial Keratoplasty. Cornea 2008; 27: 630-1. Cornea Donor Study Investigator Group. Donor age and corneal endothelial cell loss 5 years after successful corneal transplantation. Specular microscopy ancillary study results. Ophthalmology. 2008 Apr;115(4):627-632.e8. Cornea Donor Study Investigator Group. The effect of donor age on corneal transplantation outcome results of the cornea donor study. Ophthalmology. 2008 Apr;115(4):620-626.e6. Vajaranant TS, Price MO, Price FW, Wilensky JT, Edward DP. Intraocular pressure measurements following Descemet stripping endothelial keratoplasty. Am J Ophthalmol 2008;145:780-6. Price FW, Price MO. Is it worthwhile to combine penetrating keratoplasty with glaucoma drainage implants? Cornea 2008; 27: 261-2. Price FW, Price, MO. Adult keratoplasty: has the prognosis improved in the last 25 years? Ophthalmology International, 2008; 28:141-146. Price FW, Price MO. Femtosecond laser shaped penetrating keratoplasty: one-year results utilizing a top-hat configuration. Am J Ophthalmol 2008;145:210-214. Price MO, Price FW. Endothelial cell loss after descemet stripping with endothelial keratoplasty influencing factors and 2-year trend. Ophthalmology 2008;115:857-865. Baig K, Price MO, Price FW. Descemet’s stripping with endothelial keratoplasty. US Ophthalmic Review 2007; 34-36. Price FW. "Small bubble technique" helps "big bubble technique". British Journal of Ophthalmology, 2007; 91:1260-1. Allan B, Terry MA, Price FW, Price MO, Griffin N, Claesson M. Corneal transplant rejection rate and severity after endothelial keratoplasty. Cornea 2007; 26:1039-42. Price FW. Re: central toxic keratopathy: description of a syndrome in laser refractive surgery. American Journal of Ophthalmology, 2007; 144:331-2. Price MO, Price FW. Descemet's stripping endothelial keratoplasty. Current Opinion in Ophthalmology 2007; 18:290-4. Price MO, Price FW. Descemet stripping with endothelial keratoplasty for treatment of iridocorneal endothelial syndrome. Cornea 2007;26:493-497. Hainline BC, Choi DM, Price MO, Price FW. Central flap necrosis after LASIK with microkeratome and femtosecond laser created flaps. Journal of Refractive Surgery,2007;23:233-242. Price MO, Price FW, Trespalacios R. Endothelial keratoplasty technique for aniridic aphakic eyes. J Cataract and Refract Surg 2007; 33:376-379. Lord RK, Price FW, Price MO, Werner L, Mamalis N. Histology of posterior lamellar keratoplasty. Cornea 2006;25:1093-1096. Price FW, Price MO. A nonsurgical treatment for donor dislocation after descemet stripping endothelial keratoplasty (DSEK). Cornea 2006;25:991. Romaniv N, Price MO, Price FW, Mamalis N. Donor descemet membrane detachment after endothelial keratoplasty. Cornea 2006;25:943-947. Price FW, Price MO. Endothelial keratoplasty to restore clarity to a failed penetrating graft. Cornea, 2006;25:895-899. Price MO, Price FW. Descemet's stripping with endothelial keratoplasty: comparative outcomes with microkeratome-dissected and manually dissected donor tissue. Ophthalmology, 2006; 113:1936-1942. Price MO, Price FW. Efficacy of topical cyclosporine 0.05% for prevention of cornea transplant rejection episodes. Ophthalmology 2006;113:1785-90. Price FW, Price MO. Descemet's stripping with endothelial keratoplasty in 200 eyes: Early challenges and techniques to enhance donor adherence. Journal of Cataract & Refractive Surgery, 2006;32:411-418. Price FW, Price MO. Descemet's stripping with endothelial keratoplasty in 50 eyes: a refractive neutral corneal transplant. J Refractive Surg, 2005; 21:339-345. Price MO, Price FW, Werner L, Berlie C, Mamalis N. Late dislocation of scleral-sutured posterior chamber intraocular lenses. J Cataract Refract Surg, 2005,31:1321-1326. Price MO, Quillin C, Price FW. Effect of gatifloxacin ophthalmic solution 0.3% on human corneal endothelial cell density and aqueous humor gatifloxacin concentration. Current Eye Research, 2005; 30:563-567. Price FW. Corneal transplantation as a refractive surgical procedure. Journal of Refractive Surgery, 2005;21:216-217. Price FW. Pressure-induced interface keratitis: a late complication following LASIK. Cornea 2005;4:505; author reply 505. Price FW. Fixed dilated pupil (Urrets-Zavalia syndrome) in corneal dystrophies. Cornea. 2005;4:363; author reply 363. Price, FW, Mackool RJ, Miller KM, Koch P, Oetting TA, Johnson T. Interim results of the United States investigational device study of the Ophtec capsular tension ring. Ophthalmology, 2005;112:460-465. Price MO, Price FW. Efficacy of topical ketorolac tromethamine 0.4% for control of pain or discomfort associated with cataract surgery. Current Medical Research and Opinion,2004;20:2015-2019. Price MO, Price FW, Chang DF, Kelley KA, Olson MD, Miller KM. Ophtec iris reconstruction lens United States clinical trial phase I. Ophthalmology, 2004;111:1847-52. Riddle HK, Price MO, Price FW. Topical anesthesia for penetrating keratoplasty. Cornea, 2004;23:712-714. Bowers PJ, Zeldes SS, Price FW, McManis CL, Price MO. Outcomes of laser in situ keratomileusis in a Refractive Surgery fellowship program. J Refractive Surgery, 2004;20:265-9. Price MO, Price FW. Cataract progression and treatment following posterior lamellar keratoplasty. J Cataract and Refract Surg, 2004;30:1310-5. Steinemann TL, Pinninti U, Szczotka LB, Eiferman RA, Price FW. Ocular complications associated with the use of cosmetic contact lenses from unlicensed vendors. Eye Contact Lens. 2003 Oct;29(4):196-200. Thompson RW, Choi DM, Price MO, Price FW. Noncontact optical coherence tomography for measurement of corneal flap and residual stromal bed thickness after laser in situ keratomileusis. J Refractive Surgery, 2003, 19:507-515. Price MO, Thompson RW, Price FW. Risk factors for various causes of failure in initial corneal grafts. Archives of Ophthalmology, 2003;121:1087-1092. Bowers P, Price MO, Zeldes S, Price FW. Superficial keratectomy with mitomycin-C for the treatment of Salzmann's nodules. J Cataract and Refract Surg, 2003; 29(7):1302-6. Thompson RW, Price MO, Bowers PJ, Price FW. Long-term graft survival after penetrating keratoplasty. Ophthalmology, 2003; 110(7):1396-1402. Parker DS, Price FW. Suture fixation of a posterior chamber intraocular lens in anticoagulated patients. J Cataract Refract Surg, 2003; 29:949-954. Price FW, Dobbins K, Zeh WG. Penetration of topically administered ofloxacin and trimethoprim into aqueous humor. J Ocul Pharmacol Ther, 2002; 18:445-53. Thompson RW, Choi DM, Price FW. Clear lens replacement surgery. International Ophthalmology Clinics, 2002; 42: 131-152. Price FW. Corneal endothelial damage after trabeculectomy with mitomycin C in two patients with glaucoma with cornea guttata. Cornea. 2002 Oct;21(7):733. Choi DM, Thompson RW, Price FW. Incisional refractive surgery. Current Opinion in Ophthalmology 2002; 13:237-241. Price FW. Topical corticosteroids after keratorefractive surgery. J Cataract Refract Surg. 2002 Aug;28(8):1307; author reply 1307-8. Price, FW, Ziemba, SL. Placement of a collagen glaucoma drainage device to control intraocular pressure and chronic iritis secondary to juvenile rheumatoid arthritis. Ophthalmic Surgery and Lasers, 2002;3:233-36. Price FW, Price MO, Zeh WG, Dobbins K. Pain reduction after laser in situ keratomileusis with ketorolac tromethamine ophthalmic solution 0.5%: a randomized, double-masked, placebo-controlled trial. J Refract Surg, 2002 Mar-Apr; 18(2):140-4. Price FW, Willes L, Ries J, Lyng A, Price M. A prospective, randomized comparison of the use versus non-use of topical corticosteroids after laser in situ keratomileusis. Ophthalmology, 2001 Jul; 108(7):1236-44;discussion 1244-5. Price FW, Zeh WG. Viscoelastic material as an adjunct to dissections and to treat microperforations during nonpenetrating filtering surgery. J Cataract Refract Surg, 2001 Apr; 27(4):639-641. Dobbins K, Price FW, Whitson WE. Trends in the indications for penetrating keratoplasty in the midwestern United States. Cornea 2000 Nov;19(6):813-816. Price FW. New pieces for the puzzle: nonsteroidal anti-inflammatory drugs and corneal ulcers. J Cataract Refract Surg. 2000 Sep;26:1263-65. Zeh WG, Price FW. Iris fixation of posterior chamber intraocular lenses. J Cataract Refract Surg, 2000 Jul;26(7):1028-34. Price FW, Koller DL, Price MO. Cent Central corneal pachymetry in patients undergoing laser in situ keratomileusis. Ophthalmology 1999 Nov;106(11):2216-2220. Riddle HK, Parker DAS, Price FW. Management of postkeratoplasty astigmatism. Current Opinion in Ophthalmology 1998 Aug;9(IV):15-28. Price FW Jr., Belin MW, Nordan LT, McDonnell PJ, Pop M. Epithelial haze, punctate keratopathy, and induced hyperopia after photorefractive keratectomy for myopia. J Refract Surg. 1999 May-June;15(3):384-7. Faktorovich EG, Maloney RK, Price FW, ARC-T Study Group. Effect of astigmatic keratotomy on spherical equivalent: results of the Astigmatism Reduction Clinical Trial. Am J Ophthalmol. 1999;127:260-9. Loden JC, Price FW Jr. Price graft-over-host technique to manage positive pressure during penetrating keratoplasty. J Cataract Refract Surg. 1998;24:736-8. Price FW, Parker DA. Horizontal corneal diameter and its implications for implanting sulcus-fixated lenses. J Cataract Refract Surg. 1997 Oct;23(8):1131-2. Price FW, Green RB, Marks RG, Gonzales J. Arcuate transverse keratotomy for astigmatism followed by subsequent radial or transverse keratotomy. ARC-T Study Group. Astigmatism Reduction Clinical Trial. J Refract Surg 1996;12:68-76. Price FW, Whitson WE, Gonzales JS, Gonzales CR, Smith J. Automated lamellar keratomileusis in situ for myopia. J Refract Surg 1996;12:29-35. Price FW, Whitson WE, Johns SK, Gonzales JS. Risk factors for corneal graft failure. J Refract Surg 1996;12:133-146. Steinert RF, Storie B, Smith P, McDonald MB, van Rij G, Bores LD, Colin JP, Durrie DS, Kelley C, Price FW, Rostron C, Waring III GO, Nordan LT. Hydrogel intracorneal lenses in aphakic eyes. Arch Ophthalmol 1996:114:135-141. Price FW, Hanna SI. Bilateral penetrating autokeratoplasty. J Refract Surg 1995;11: 494-496. Price FW, Wellemeyer ML. Transscleral fixation of posterior chamber intraocular lenses. J Cataract Refract Surg 1995;20:567-573. Price FW, Green RB, Marks RG, Gonzalas JS. Astigmatism reduction clinical trial: a multicenter prospective evaluation of the predictability of arcuate keratotomy. Evaluation of surgical nomogram predictability. ARC-T Study Group. Arch Ophthalmol 1995;113:277-282. Price FW, Whitson WE, Collins KS, Gonzales JS. Corneal tissue levels of topically applied ciprofloxacin. Cornea 14(2);152-156,1995. Price FW, Wellemeyer ML. Long-term results of Molteno implants. Ophthalmic Surg 1995;26(2):1-6. Price FW, Whitson WE, Ahad KA, Tavakkoli H. Suprachoroidal hemorrhage in penetrating keratoplasty. Ophthalmic Surg 1994;25(8):521-525. Lee DA, Price FW, Whitson, WE. Intraocular complications associated with the Dubroff anterior chamber lens. J Cataract Refract Surg 1994;20:421-425. Whitcup SM, Nussenblatt RB, Price FW, Chan CC. Expression of cell adhesion molecules in corneal graft failure. Cornea 1993;12(6):475-480. Price FW, Whitson WE, Collins KS. Five-year corneal graft survival. A large, single-center patient cohort. Arch Ophthalmol 1993;111:799-805. Wellemeyer ML, Price FW. Molteno implants in patients with previous cyclocryotherapy. Ophthalmic Surg 1993;24:395-398. Coli AF, Price FW, Whitson WE. Intraocular lens exchange for anterior chamber intraocular lens-induced corneal endothelial damage. Ophthalmology 1993;100:384-393. Lee DA, Price FW. Management of concurrent corneal diseases and cataract. Cur Opin Ophthalmol 1993,4;1:97-101. Price FW, Whitson WE, Collins KS, Johns SK. Explantation of posterior chamber lenses. J Cataract Refract Surg 1992;18:475-479. Price FW, Whitson WE, Collins KS, Johns SK. Changing trends in explanted intraocular lenses: a single center study. J Cataract Refract Surg 1992;18:470-474. Whitson WE, Price FW. Reducing hypotony after Molteno procedure. Ophthalmic Surg 1992;23(6):434. Price FW. Penetrating keratoplasty for keratoconus. Bri J Ophthalmol 1992;6(1):61. Price FW, Whitson WE. Progression of visual acuity after penetrating keratoplasty. Ophthalmology 1991;98:1177‑1185. Lopez JS, Price FW, Whitcup SM, Li Q, de Smet M, Chan CC. Immunohistochemistry of Terrien's and Mooren's corneal degeneration. Arch Ophthalmol 1991;109:988‑992. Price FW, Whitson WE. Graft survival in four common groups of patients undergoing penetrating keratoplasty. Ophthalmology 1991;98:322‑328. Price FW, Whitson WE. The art of surgical correction for postkeratoplasty astigmatism. Int Ophthalmol Clin. 1991;31:59-67. Price FW, Whitson WE. Polypropylene ligatures with Molteno implants. Ophthalmic Surg. 1990 Aug;21(8):597. Mamalis N, Craig MT, Price FW. Spectrum of Nd:YAG laser-induced intraocular lens damage in explanted lenses. J Cataract Refract Surg 1990;16:495‑500. Price FW, Whitson WE. Suprachoroidal hemorrhage after placement of a scleral-fixated lens. J Cataract Refract Surg 1990;16(4):514‑515. Price FW, Whitson WE. Natural history of cystoid macular edema in pseudophakic bullous keratopathy. J Cataract Refract Surg 1990;16(2):163‑169. Price FW, Whitson WE. Polypropylene ligatures as a means of controlling intraocular pressure with Molteno implants. Ophthalmic Surgery 1989;20:781‑783. Apple DJ, Price FW, Gwin RT, Imkamp E, Daun M, Casanova R, Hansen S, Carlson AN. Sutured retropupillary posterior chamber intraocular lenses for exchange or secondary implantation. The 12th annual Binkhorst lecture, 1988. Ophthalmology 1989;96:1241‑1247. Price, FW, Whitson, WE: Visual results of suture-fixated posterior chamber lenses during penetrating keratoplasty. Ophthalmology 96;8:1234‑1240, 1989. Price FW. Air lamellar keratoplasty. Refract and Corneal Surg 1989;5:240‑243. Price, FW: A controlled method of removing the Stableflex lens. J Cataract Refract Surg 14:81‑83,1988. Price FW. Factors contributing to corneal decompensation with the Stableflex lens. J Cataract Refract Surg 14:53‑57,1988. Price FW, Binder PS. Scarring of a recipient cornea following epikeratoplasty. Arch Ophthalmol 1987;105:1556‑1560. Tetz MR, Apple DJ, Price FW, Piest KL, Kincaid MC, Bath, PE. A newly described complication of neodymium-YAG laser capsulotomy: exacerbation of an intraocular infection. Case report. Arch Ophthalmol 1987;105:1324‑1325. Piest KL, Kincaid MC, Tetz MR, Apple DJ, Roberts WA, Price FW. Localized endophthalmitis: a newly described cause of the so-called toxic lens syndrome. J Cataract Refract Surg 1987;13:498‑510. Price FW, Schlaegel TF. Bilateral acute retinal necrosis. Am J Ophthalmol 1980;89:419‑424.